Our move back to South Australia started on Thursday November 15th with the uplift of all our household belongings. I worked back a day as Flights were difficult out of Kununurra and meant I would have either had to overnight in Perth or Darwin. Leaving a day later meant just the one days travel and the day in lieu will be handy to take down the track sometime. I arrived at Goolwa on the Friday night and my wife and youngest son arrived Saturday evening. Monday the removalist truck arrived. Busy unpacking for 2 days and I decided that it was time to go for a ride. 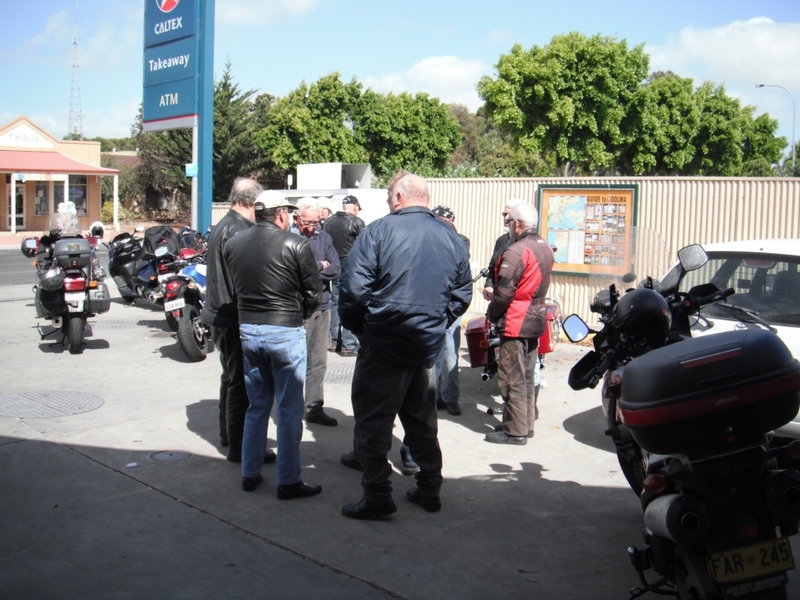 Wednesdays at Goolwa means the local group of riders don their riding gear and head out for a ride. I prefer a longer ride and was a little worried that they would just ride 30 minutes up the road for a Latte and then head back. I took my Vstrom and fuelled it up at the BP service station as they have premium fuel. I do prefer to run the higher octane. Then it’s off to the meet spot at another service station. We left Goolwa just after 10am and headed for McLaren vale for a coffee. The lead rider took all the back roads to get there. Some great roads, all full of curves and bends. I had never been on many of them, so I will need to go back sometime to retrace them. We stopped for Coffee at McLaren Vale and had a chat with the other riders. They were interested in the new rider in the group and asked me all the usual questions. They all seemed to be great fellas. I did know one of the rides. Don French. He is a member of FarRides and is a young 80 years of age. Don owns 2 bikes. A BMW K1200RS and a Kawasaki GTR 1400. He believes that Age is all in the mind and thankfully he says, I only started to think 18 years ago. 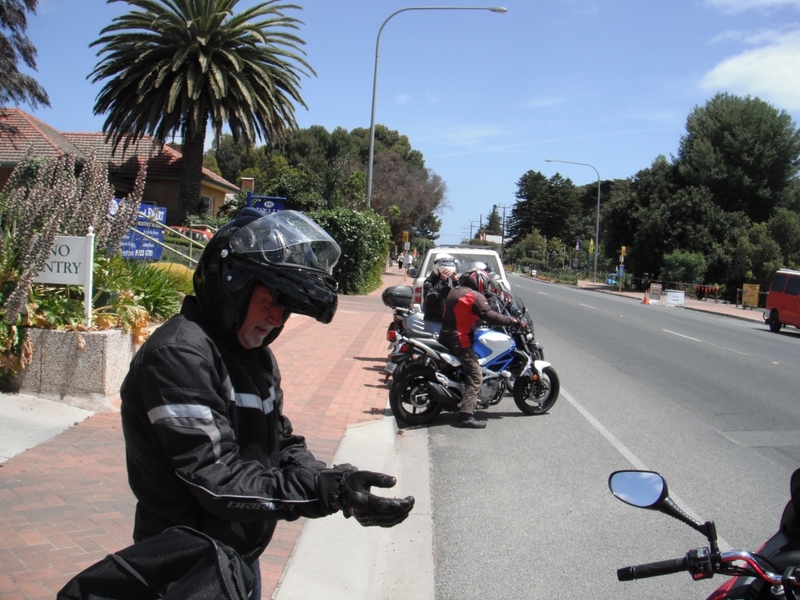 Don Had electrical problems on the BMW and had to meet us at McLaren Vale on the GTR. I was pleasantly surprised when they asked if I would continue on with them for lunch. I had thought they would be returning to Goolwa. So we headed off to the Macclesfield Hotel for lunch. 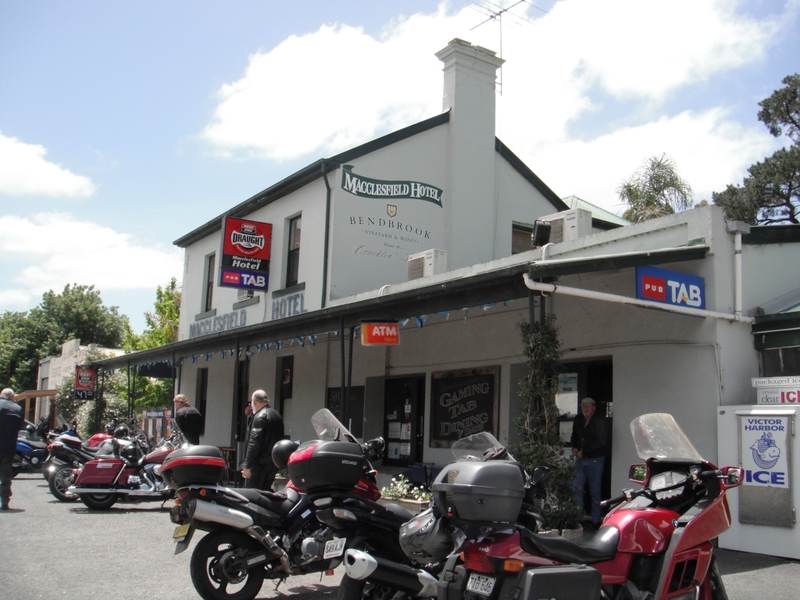 After have a Chicken Schnitzel Burger for lunch we rode back to Goolwa via Milang and Claytons Bay. Once back in Goolwa some of the group headed to the local brewery for a cleansing ale. I joined them but opted for a coffee. It was a great little ride. Only rode 185km but it was with great company. I’m looking forward to the next ride. Thanks TR. The posts will be few over the next few months. Between work and visiting folks in Tassie and NSW things will be busy. I may not be able to ride with this lot again till Feb due to other commitments but I will be sure to say Hello for you. You will be welcome down under if you have the chance. 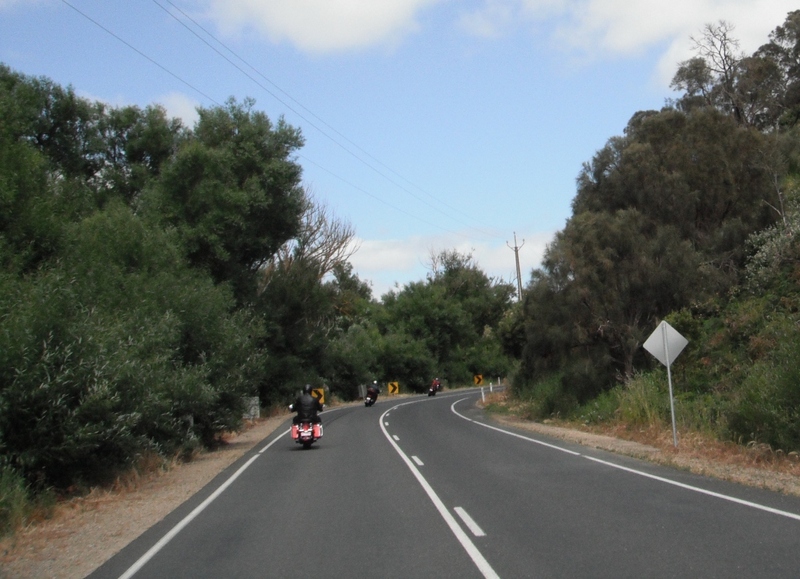 be a pleasure to ride up into the Adelaide hills with you.